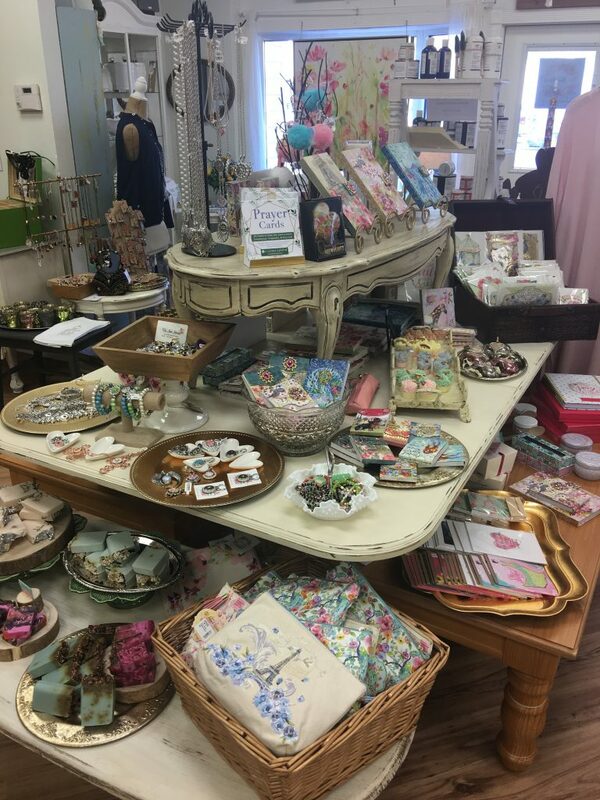 It would TAKE a lot more room than I have in this article to describe all the wonderful things you can find at The Hen House. In fact, everywhere I walked in the store, I found myself oohing and aweing over something else! 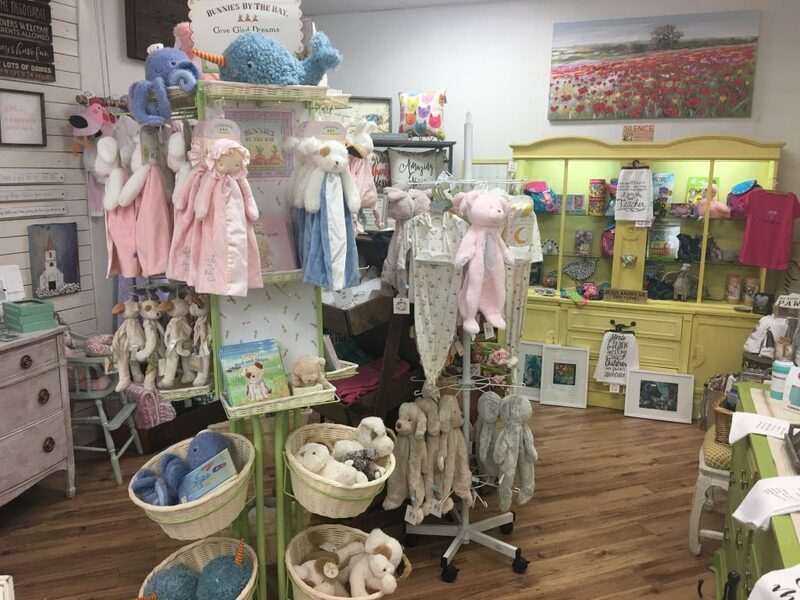 Clothes, candles, jewelry, soaps and lotions, pillows, kids’ toys and baby lovies – an inventory that is constantly changing and being updated, there is always something new to see. “The delivery man is my new best friend,” jokes co-owner Molly Voth. She and friends and co-owners Shannon Ater and Anna Richardson met many years ago in church and always talked about opening a store together. 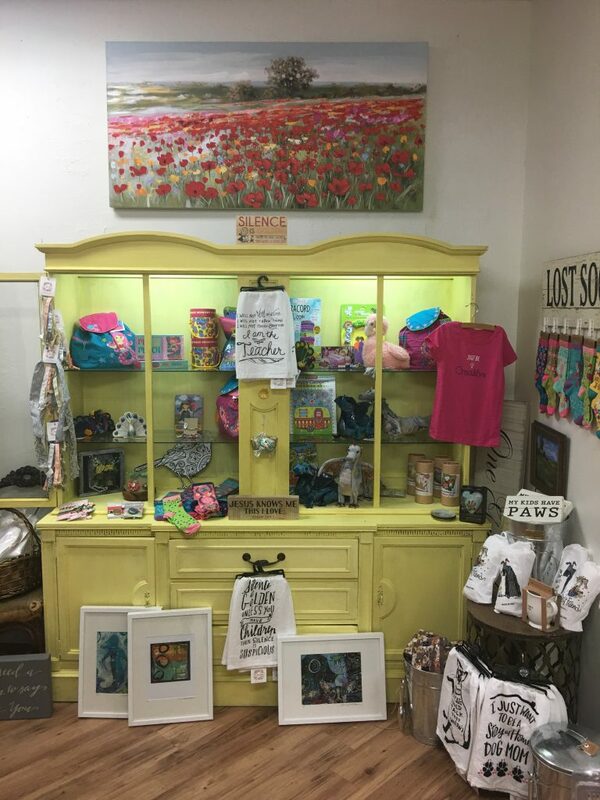 In April of last year those long talks and discussed dreams became a reality when they opened The Hen House located in Carrollwood in the Main Street Plaza on North Dale Mabry. 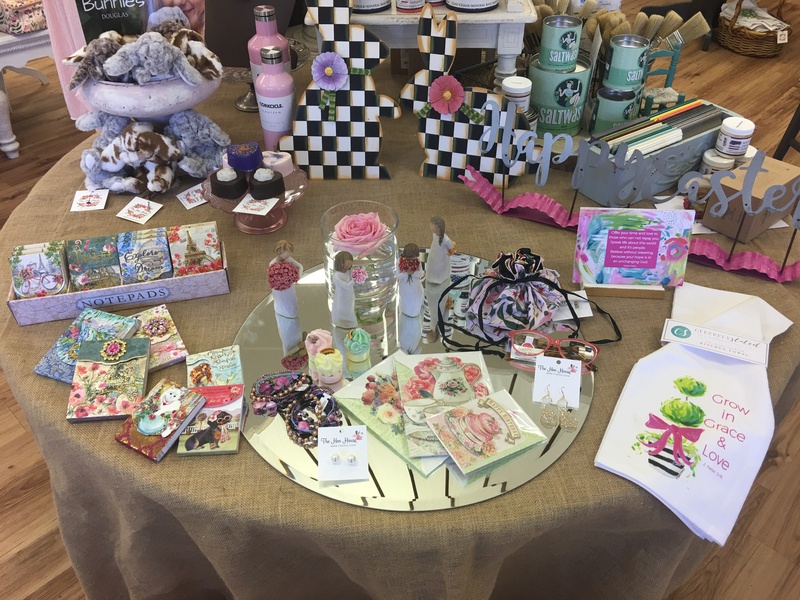 Over the past year they have quickly become a favorite stopping and gathering place for shoppers, crafters and gift givers. 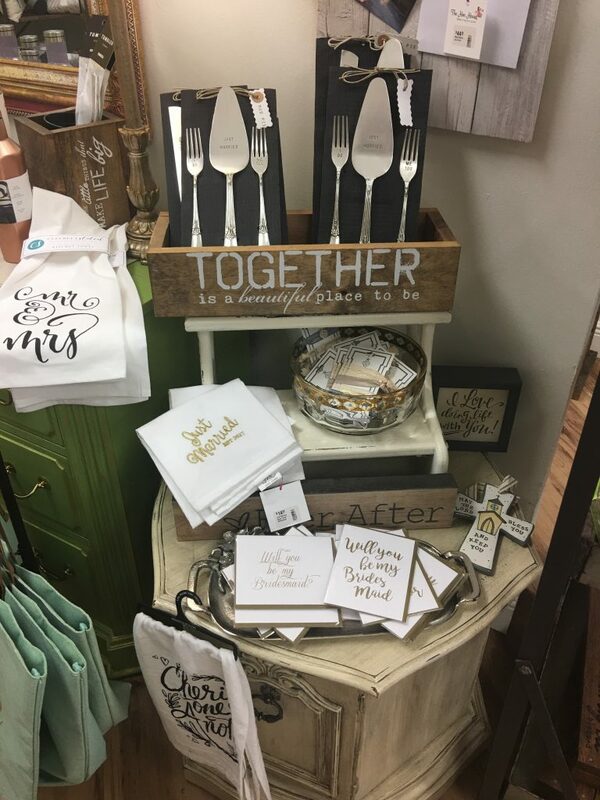 The Perfect Gift to Give – Or Keep for Yourself – No matter what you need –the perfect hostess or wedding gift, something special for mom for Mother’s Day, a bauble for your best friend’s birthday, an end of the year thank you gift for your favorite teacher, a happy for yourself – The Hen House has you covered. 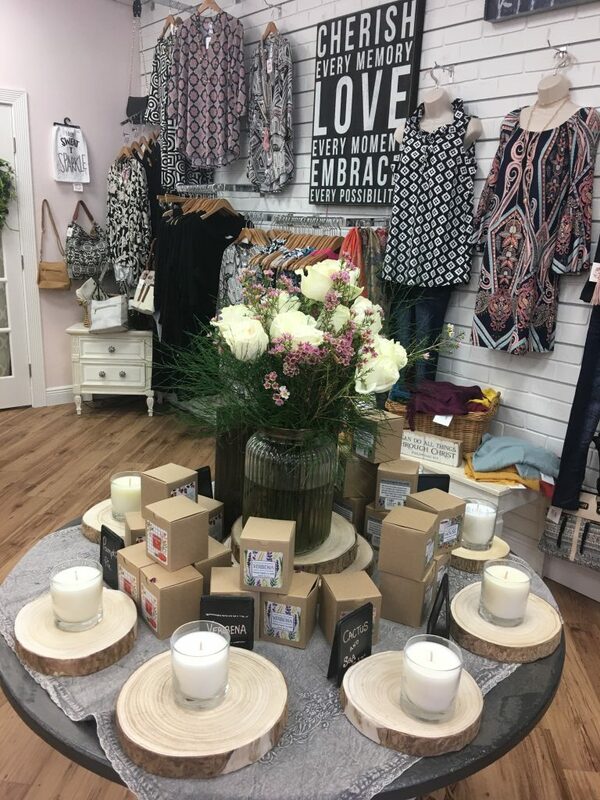 They carry candles, lotions and soaps, accessories, clothes and home decor, many of which you won’t find anywhere else in Tampa. They offer popular brands like Mud Pie, Demdaco, MilkHouse, Corkcicle and Bunnies by the Bay as well as items from up and coming artisans and designers. Molly says they try to carry items that are made in the U.S.A. and even have items by local artists and companies like Dixie Belle. The trio visits market several times a year and even posts videos and pictures on Facebook so their customers can vote for items they’d like to see carried in the store. The owners love for their customers to feel as much a part of The Hen House as they are! Flowers for Special and Everyday Occasions – If you are looking for flower arrangements to make your wedding truly special or a beautiful bouquet to accent your table at Easter brunch, look no further than The Hen House. They will handcraft delightful floral displays that will set the perfect mood for your event. If you have specific flowers you’d like in the arrangement, just give The Hen House a week’s notice and they can get most any flowers you desire. Need a bouquet now? No worries, The Hen House always carries an array of fresh seasonal flowers and can create a floral masterpiece you can take with you. They even deliver in the Carrollwood area. Calling All Crafters – The Hen House offers workshops every month in a wide variety of fun and creative projects. In March you can learn how to create an Easter Centerpiece or Spring Wreath. You can also learn jewelry design, painting techniques and how to make your own personalized wooden signs. 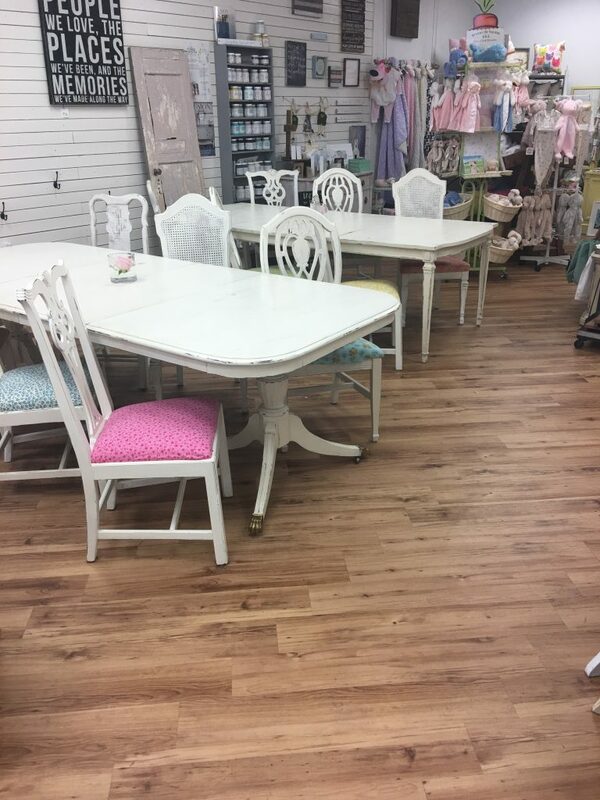 If you have furniture you’ve been meaning to re-do, The Hen House’s BYOF furniture painting class would be perfect for you. Bring the side table, chair or other piece you’ve been hoping to refresh and they can teach you how to refurbish it using the latest techniques and paints from Fusion and Dixie Belle paints. The Hen House is also the perfect gathering place for your group of friends. 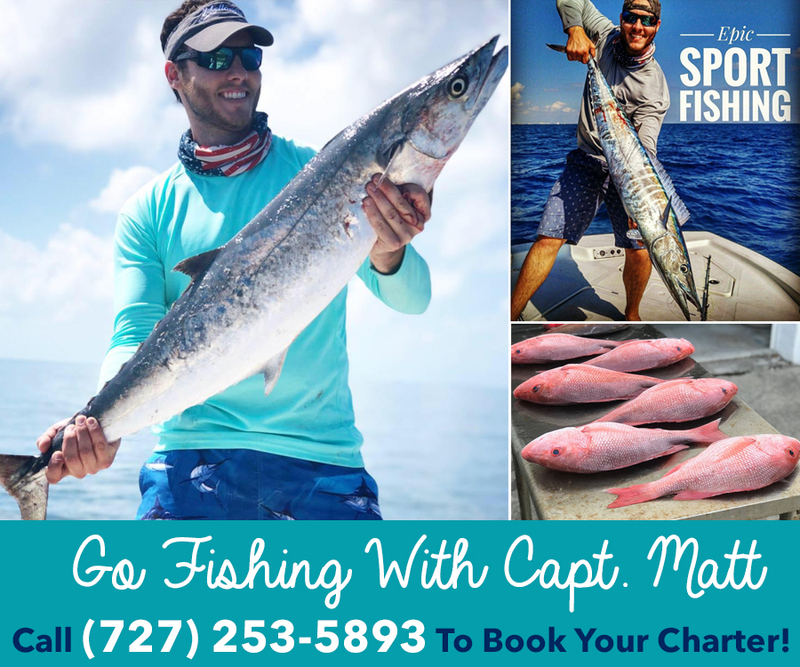 They can help you customize an event that everyone will love and where everyone will be able to go home with a creation they’ll adore. It’s a wonderful place to host a birthday party, bridal shower, bachelorette party, lunch and learn or your next girls day (or night) out. There is always something fun happening at The Hen House! Did I mention the fabulous leggings, lovely shirts and dresses? What about the vintage Lip Smackers lip-gloss or organic, vegan bath products? 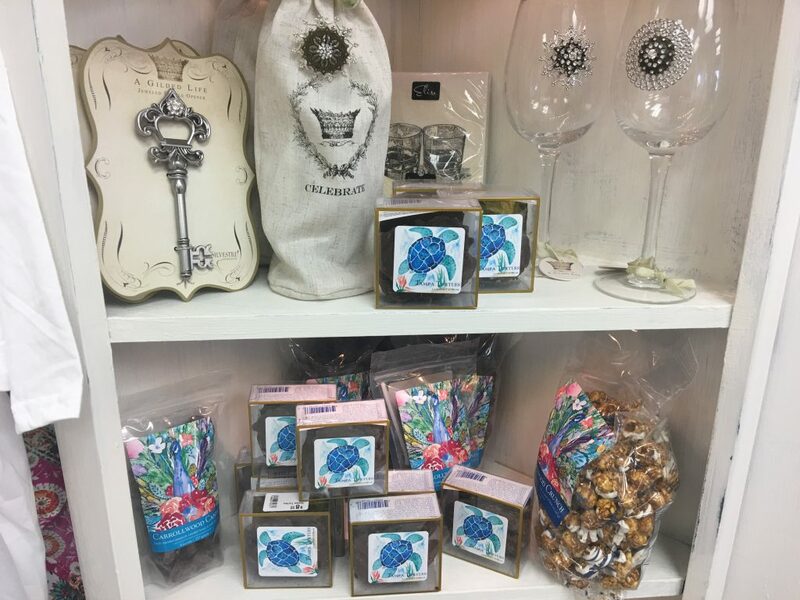 The Hen House even has awesome gifts for pet lovers and pets. The list of fabulous products could go on and on but you need to see it for yourself – you’re sure to find something you’ll love. The Hen House will be celebrating their one-year anniversary at the end of April. To stay up-to-date about all the festivities as well as special events and workshops, visit their website www.TheHH.com and sign up to be on their email list or like them on Facebook. The Hen House is located at 11730 North Dale Mabry in the Main Street Plaza (same shopping center as Villagio Cinema, Black Rock Restaurant and Michael’s Grille). They are open Tuesday – Friday, 10 a.m. – 6 p.m. and Saturday 10 a.m. – 5 p.m. For more information visit www.TheHH.com or call 813-264-HENS (4367).